In 2011, a London student started a small multi-arts festival with the aim of celebrating the contemporary UK creative scene through an event founded on principles of volunteerism, collaboration and independence. The July, over a thousand people (including four hundred collaborators) came together in the grounds of a Sussex stately home for the festival’s third incarnation. Over the course of the weekend, live music, spoken word, DJ sets, open mics, dramatic performances and artistic installations explored the event’s stated themes of body, space, and power. This was always going to be a defining year for the adolescent festival, especially after its 2014 hiatus. Sold out tickets, higher attendance and larger names on the lineup meant organisers were faced with the the task of scaling up the framework of volunteer work and shoestring organisation to meet the logistical problems posed by the presence of over a thousand attendees, many of whom were first-timers. 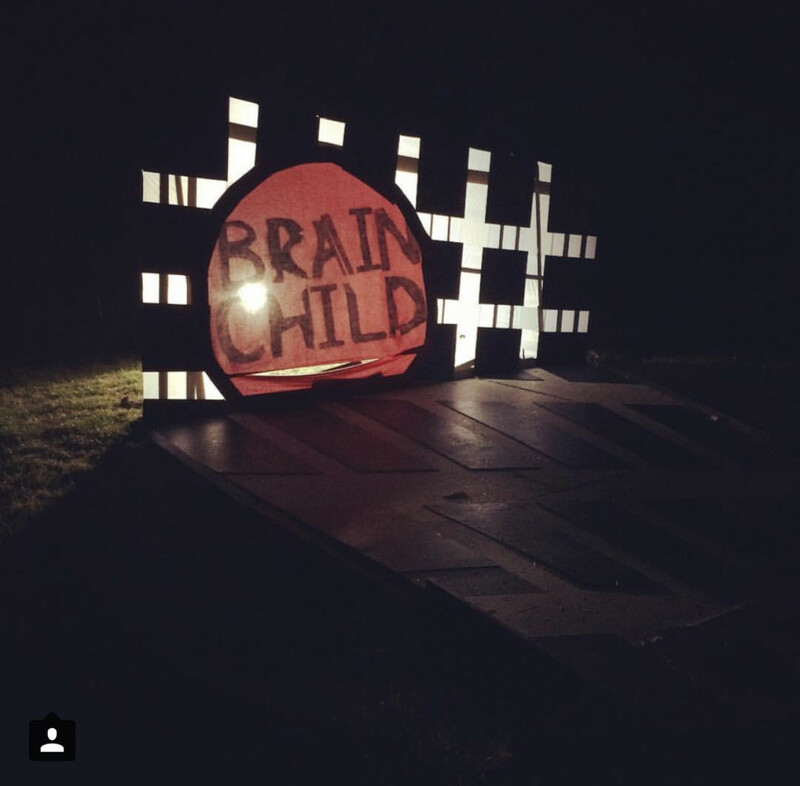 Brainchild’s answer to these challenges was the same this year as it always has been – an inescapably sincere collaborative ethos that permeated every aspect of the festival. From top to bottom, this was to be the year when Brainchild dispelled all doubts about its ambition, integrity and value, the atmosphere and artistic quality both reflections of the strength of the event’s manifesto. 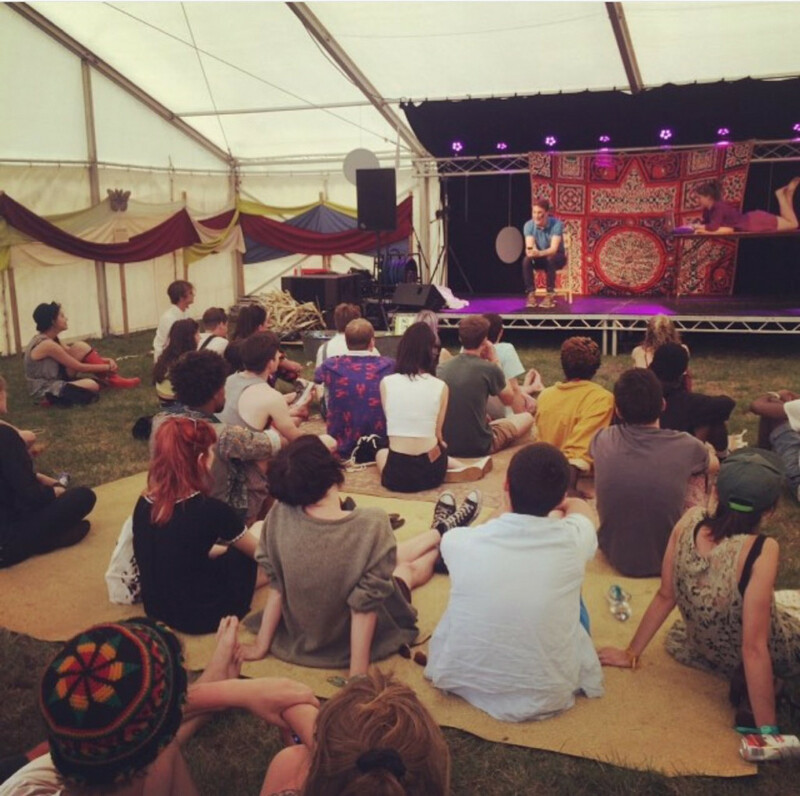 The not-so-little things make all the difference to a festival experience. Being served by friendly volunteers rather than exhausted event hire staff, being surrounded by art installations instead of corporate advertising, and ultimately the festival’s biggest asset – as friendly and welcoming an atmosphere as its possible to imagine between a thousand strangers brought together in a field. But aside from all the small things Brainchild quietly gets right, this year also marked another upwards shift in the quality of performances across the five stages. Tank and the Bangas proved one of the weekend’s biggest draws, emptying tents and filling the grass in front of the main stage with waving hands. Other musical highlights included Thidius, where siblings Izzy and George Risk worked with King Krule bassist James Wilson and percussionist Ed Bernez to create an shifting sound that embodied the absolute best of South London jams. Bernezs’s main band, Haraket, worked the crowd in the space between post-rock’s fuzzed out guitars and programmed beats, and many other collectives explored sound through syntheses of brass, guitar and decks alike. Also deserving a mention were atmospheric London supergroup The Comet is Coming, who lived up to the considerable intra-festival hype with a superb live performance. In The Forum tent, effusive returning host Bridget Minamore presided over a consistently excellent showcase of spoken word, drama and performance. If you’ve never engaged with what good spoken word has to offer offer, you’re missing out on the dizzying wordplay of Harry Baker, the lyrical philosophy of James Massiah, the razor sharp comedic timing of Paul Cree, and the innumerable other talented performers who featured over the weekend. 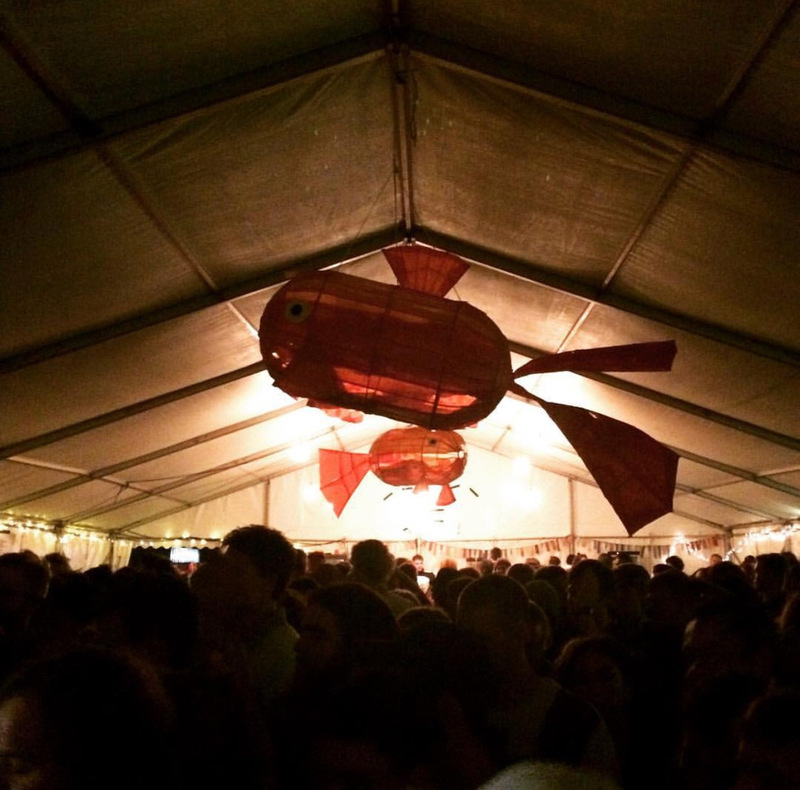 Crowd-pleasing mini-events like Maria Ferguson’s “Fat Girls Don’t Dance” and all female drag troupe Pecs filled the tent until people spilled out onto the grass, providing an undeniable affirmation of Brainchild as a showcase of some of the best performance art in the UK today. The Steez cafe, created in collaboration with the regular south London night of the same name, is the festival’s purest embodiment of its collaborative manifesto. Slam the Poet, MVC and other Steez regulars maintained peak energy levels throughout the weekend, blending open mic improvisation, freestyling, and spoken word, frequently opening the stage and inviting other performers to join them. Brainchild’s commitment to celebrating improvisation and involvement helped create an atmosphere that blurred the lines between artist and attendee, and the rotating cast of the Steez house band emphasised the point emphatically. Contemporary media selectively marginalises young voices to the point where cynical negativity is presented as the defining characteristic of this generation. Brainchild has found its identity as an unbranded celebration of communal creativity, and the festival’s move from strength to strength is proof positive of London’s limitless capacity to produce and nurture talent. While some talks and workshops (Eye Want Change, Connection for Action) were explicitly political discussions of contemporaneous issues, the entire festival is essentially a three day essay predicated on a clear set of values, defined as much by what it isn’t as what it is. What’s striking is that so many things that are taken as the necessary evils of the festival experience – corporate sponsorship, aggresive security, segregated artists and a total lack of collective unity – are shown to be unnecessary, undesirable and antithetical to what festivals are supposed to be trying to say. By pointing the finger at young artists to the exclusion of all else, Brainchild rejects the over-moneyed, over-spun, detached identity that London seems increasingly to be defined by. Volunteerism, collaboration and artistic celebration aren’t the newest solutions to society’s underlying problems, but Brainchild proves that they’re still the right ones. To support Brainchild’s kickstarter to fund a storage facility for artists’ work, click here. This entry was posted on 30 July, 2015 in homepage and tagged Brainchild Festival, music, Performance art, spoken word., Sussex, Tom Sanders. Bookmark the permalink.